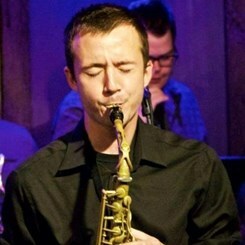 Anthony Nigro is a versatile saxophonist, flutist, and clarinetist from the Philadelphia area. He received an undergraduate performance degree from The University of the Arts on a full scholarship and recently completed his Master of Arts in Teaching degree there as well. He is versed in the styles of Jazz, Classical, Pop, and Rock and has performed with/shared the stage with: Joey DeFrancesco, Mandy Gonzalez, Haley Reinhart, Pablo Batista, Larry McKenna, Freddie Hendrix, John Swana and many more. Anthony performs regularly in the Philadelphia area and is actively performing with the Philly Pops Big Band, Philly Pops Sax Quartet, Wack Cheddar and others. Request Lessons with Anthony today!